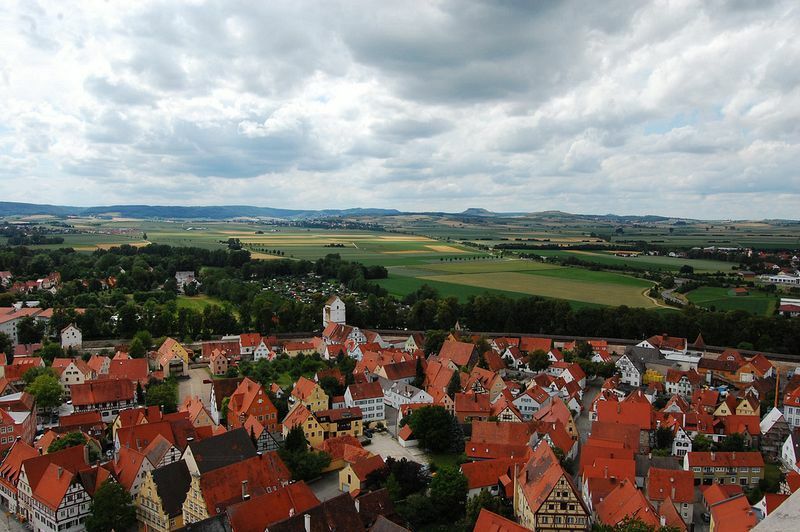 The town of Nordlingen in the Donau-Ries district of Bavaria, Germany, is unlike any other town in the district. In fact, it's unlike any other town on the whole planet. 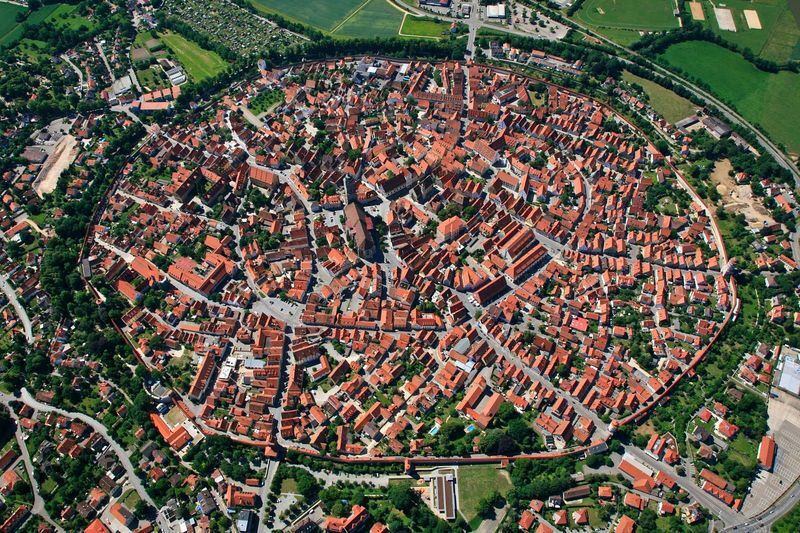 This pretty medieval town, with a population of 20,000, is situated entirely inside a massive meteorite crater 25 km across. 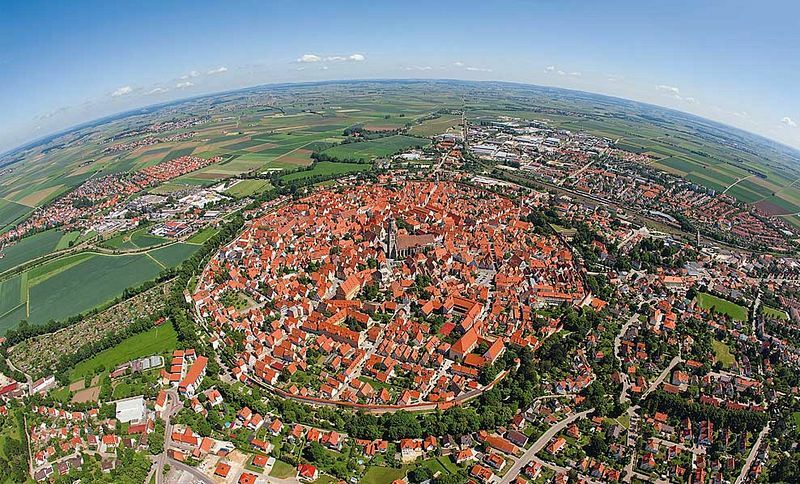 This crater called the Nördlinger Ries, was formed some 14.5 million years ago when a meteor about a mile across slammed into Earth. It was only less than fifty years ago that evidence emerged which established the true origin of this town. For years, it was believed that the shallow depression in the middle of which the town is situated was a volcanic crater. Then in 1960 two American scientists, Eugene Shoemaker (of comet Comet Shoemaker-Levy 9 fame) and Edward Chao, proved that the depression was in fact, caused by meteorite impact. 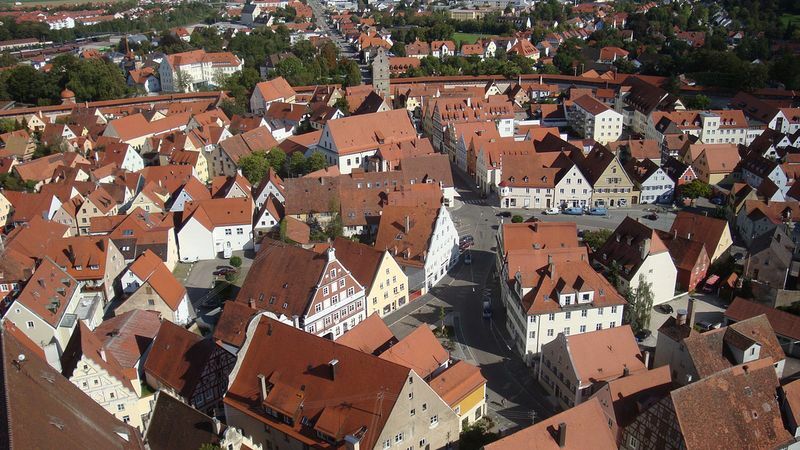 While visiting a church in the town of Nordlingen, Shoemaker reportedly scratched its walls to see what it was made of and was delighted to discover shocked quartz, a type of rock that can only be formed by the shock pressures normally associated with meteorite impact. Subsequent exploration of the strange rock formations of the Ries conclusively established that the crater was caused by a meteor impact. There is another impact crater the Steinheim crater, about 3.8 km in diameter, located about 42 kilometers west-southwest from the centre of Ries. These two craters are believed to have formed nearly simultaneously by the impact of a binary asteroid.